Plaza no. 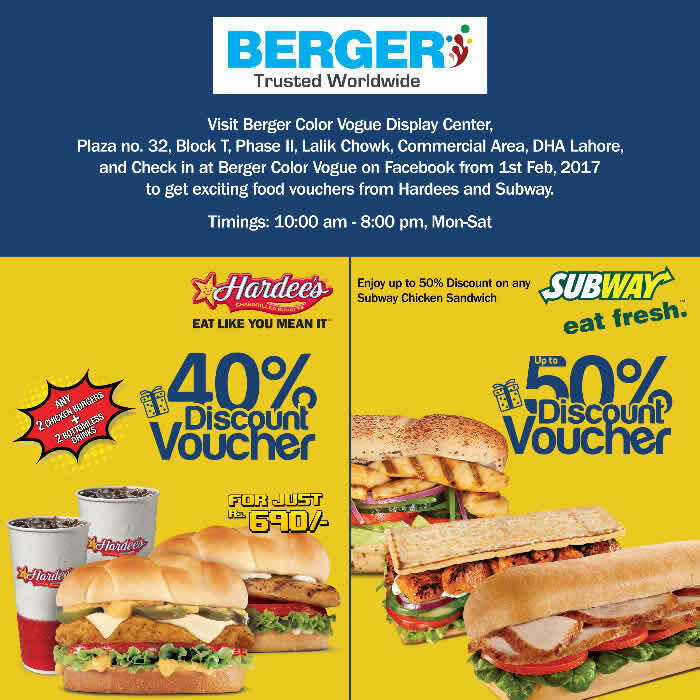 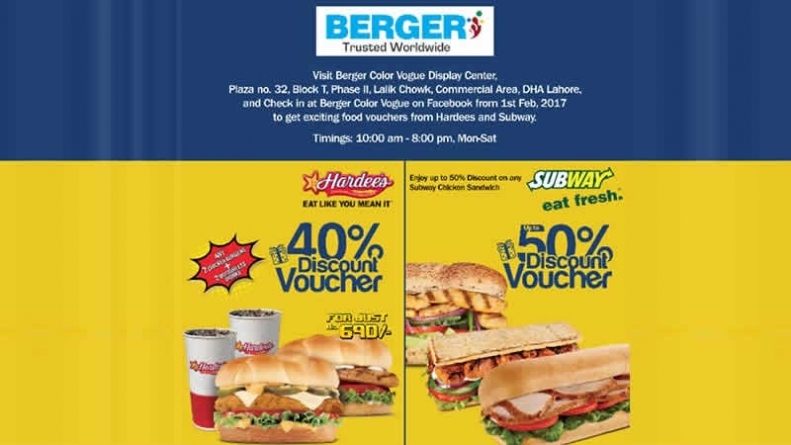 32, Block T, Phase II, Lalik Chowk, Commercial Area, DHA Lahore and check in at Berger Color Vogue on Facebook from 1st Feb, 2017 to get exciting food vouchers from Hardees and Subway. Who’s This Pretty Girl In SRK’s Pune Selfie?